Looking for private in-home or in-studio Music Performance lessons? Our Diamond Bar teachers are ready to get you started. Find your teacher today! Check out some of our most popular teachers near Diamond Bar, CA including Los Angeles, Long Beach, Irvine, Glendale and Burbank. As a performing artist, I still can be found on the music circuit on a weekly basis. I have been performing professionally for over 35 years and can provide a wealth of experience regarding: equipment, stage presence, contract negotiation, band construction and how to keep it together once you have one. I can give you the do's and don'ts. I've played in cover bands, original bands, blues, heavy metal, tribute, acoustic and everything in between so if you have questions I can help you or point you in the right direction. Live performances tend to make people nervous. We'll visit several techniques for relaxation, and analysis of situations so you are prepared for them. I've been a performer all my life, and I wish to transmit my experiences to you. The class is essentially for students who have at least some basic knowledge of piano and music theory. Music performance is like a workshop class to radically improve the performing skills of the student. I will focus on specific techniques which will help the student perform more effectively. An intermediate level of piano is recommended for the class. As a child, Ms. Regina gave many solo recitals and concerts with the Georgian Symphonic Orchestra. Ms. Regina earned her Doctorate of Musical Arts with emphasis on Advanced Piano Performance from the Tbilisi State Conservatory. After graduating, she worked with talented young musicians in her alma mater for many years. Later in her academic and professional career, Ms. Regina taught undergraduate courses at the Tbilisi State Conservatory as well as the Moscow Music Gymnasium. han eighteen years of professional teaching experience, Ms. Regina is able to offer her students a diverse range of educational resources. She specializes in teaching piano, performance, and music theory to students of all ages and levels. 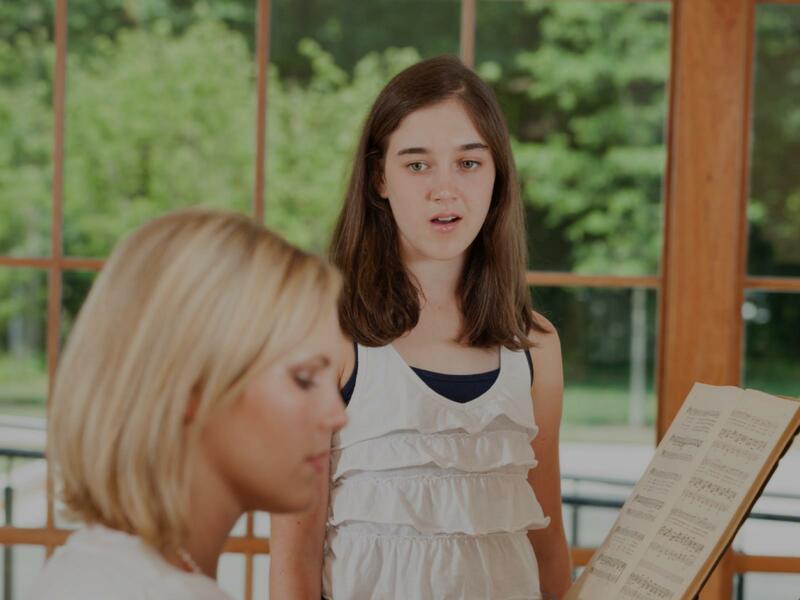 Ms. Regina's teaching techniques are based on a combination of the famous Russian Music School (based on music giants such as Konstantin Igumnov, Daniel Barenboim, and Heinrich Neuhaus) and the American Music Education System. This combination allows each student to work at a pace comfortable for him/her, and helps all students make significant progress in the areas of sight reading, ear training, and performance skills. Ms. Regina teaches at her Glendale studio and the surrounding areas every day of the week except for Saturdays. She teaches in her Orange County studio located in Fountain Valley on Saturdays. In case of questions, feel free to contact us! Siblings are eligible for discounted tuition at the studio. Regina was awesome can't wait for my next lesson! Regina is wonderful. My son has only been playing for a few months and the ease with which she teaches and instructs leaves him feeling successful and motivated. I would recommend her to anyone. I generally prepare individuals to master musical instruments and performing art as solo and/or ensemble performers. Let's highlight the difference between singing in the shower and singing on the stage. You've noticed the power of a truly enchanting performance: there's no reason you can't claim that power. To book half-hour children's lessons, please contact TakeLessons directly at 877-231-8505. Adjusted rate is $50/ half-hour and available for children only. Hi there! My name is Ryland and I am a full-time vocal coach. Thanks for taking a look at my profile here on TakeLessons - I know you have a lot of options, so let me tell you a little bit about what makes my teaching approach so unique and successful. I received formal education for Vocal Performance from New York University. Since then, I have worked in nearly every angle of the entertainment industry from backup singing in a divey pub to vocal coaching and music directing a major motion picture, you name it. Understanding and coaching the artist at any particular juncture in their journey is one of the beautiful things about my job. I have coached dozens of artists like you, dedicated to developing their instrument - be that for a gig, for an audition or to enhance their technique and the everyday reliability of their voice. Recent credits include vocal coaching for the major motion picture musical "Crazy For The Boys" (Winter 2019), and creation and instruction of a new vocal development program for the transgender community at the Los Angeles LGBT Center's Trans*Lounge. PS - In addition to the session offerings I have listed on this site, I also offer 30 MINUTE LESSONS FOR CHILDREN AGES 8-15. To book half-hour children's lessons, please contact TakeLessons directly at 877-231-8505. Adjusted rate is $50/ half-hour and available for children of the above listed age range only. Ryland is the real deal. He’s an amazing teacher and has helped me resolve an issue that I’ve had my entire life with my voice. I always felt I was straining my voice and always had to make a huge effort trying to be heard and yet my voice would not project and often people would have a hard time hearing what I was saying. I always felt very frustrated because our voice is such an intimate expression of ourselves and I felt that I was making this huge effort and my voice did not feel like a natural expression of myself. Instead I felt tense and uncomfortable. When I picked up acting, the issues with my voice, the need to be heard and to have a confident vocal range became more urgent. I didn’t really believe it would be possible because I had tried a speech therapist in the past but Ryland has taught me how to make lasting changes to my voice that have made a huge difference in my life. Ryland is incredibly gifted. He has an amazing ear and can hear things about my voice that I don’t even know how to put into words. We worked over a period of several months and he was a truly wonderful teacher, not only in terms of the work we did during the lessons but also his kindness, compassion and nurturing were equally important in helping me make the changes. I can’t recommend him highly enough. Ryland is an exceptional communicator, helping me learn to get out of my own way and trust my voice that's already here. Together we developed a daily practice, specifically designed to strengthen my weaknesses and carve out the grooves I need in order to do my best work. Join forces with Ryland and you will build confidence, you will build YOUR voice, and you will move forward with excitement and anticipation! Whether preparing for an audition, show, recording session, or just trying to enhance your songs, be prepared to find your best potential with my expertise in performance coaching. We'll dissect your repertoire to dig deep in showcasing dynamics, emotion, and range and ensure your performance reflects your confidence and strength. Naimah is a SESAC-affiliated singer and songwriter blending pop, r&b, folk, and soul. While being recognized as an emerging artist by Billboard in 2013 following the release of her first single "Wolf and I", Naimah was collaborating with two-time Grammy-nominated American music producer, musician, and songwriter Travis Cherry in Atlanta, recording at Quad Studios in New York City. She is currently songwriting and recording in Los Angeles with two-time Grammy and seven-time American Music Award winners, Kool & the Gang, and working with developing artists and songwriters. Naimah is a graduate from the University of Southern California and is currently based in Los Angeles, CA. Naimah was great! She helped me take a concept I had for a song and bring it to life. Me being new to songwriting, her patience, knowledge, and spirit helped me feel comfortable and confident. I'd recommend her to anyone! And if I ever need another nudge to get me on track, I'll be sure to hire her again. Thanks Naimah!! Can't find a teacher in Diamond Bar, CA? "Really friendly, easy to talk to, and positive teacher. I can already tell that I will learn a lot from him!"